The founder and General Overseer of the Restore Church of Christ, Mr. Oluyele Folahan Braithwaite, is dead. He died at the age of 62, reports ITREALMS. 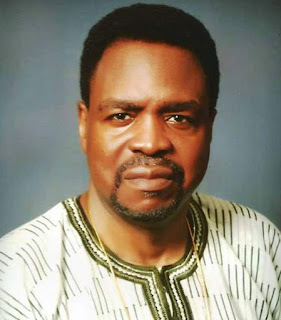 A public statement from the family endorsed by Olumide Braithwaite, his younger brother and made available to ITREALMS, informed that the late Oluyele Folahan was the first son of late legal luminary, Dr. Tunji Braithwaite and was born on 4th July 1956 in Lagos. He also said the deceased was a sickle cell patient and died of heart failure at a Lagos Island hospital. He attended CMS grammar school, Mill field school England, Ahmadu Bello University and Buckingham University England where he obtained degree in Law. Oluyele, ITREALMS gathered was married and the marriage was blessed with a girl-twin.